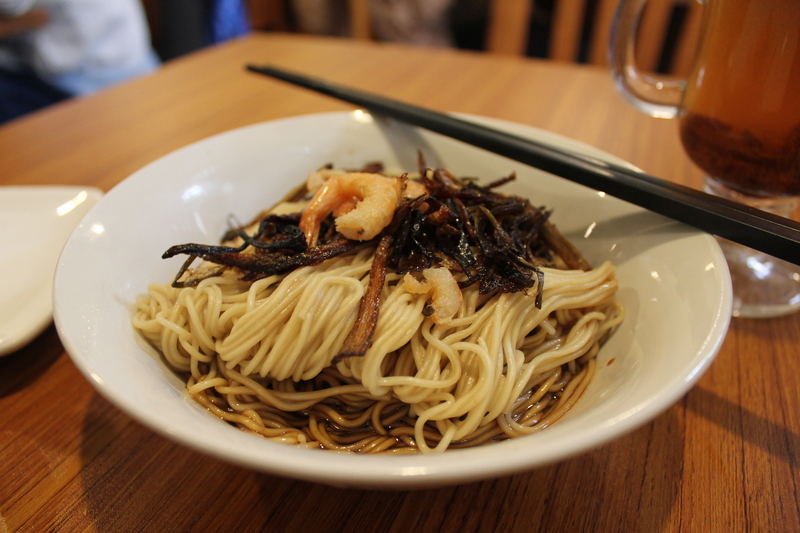 Huaiyang cuisine encompasses the region between the Huai and Yangtze Rivers, including Shanghainese food (which is considered a bastardized version of Huaiyang thanks to the city’s historical foreign influence). This type of local cuisine is known for being quite sweet and sour; sugar and vinegar are added to almost every dish. Dishes most often include pork and freshwater seafood shed out of the rivers from which the cuisine gets its name, and braising and stewing are the most typical preparations. It’s all about simple, clean flavors and top-notch ingredients at this Shanghainese restaurant. They fervently implement the city’s of cial no-smoking policy, and there’s no MSG on the menu. The trend toward quality ingredients can be tasted in every dish, and they even lter the water they use to boil their excellent noodles. More info. Google map. 328 Jianguo Rd (West), near Xiangyang Rd (South). 建国西路328号近襄阳 南路. Subway: Line 9/12 – Jiashan Road. Tel: +86 21 6471 3819. Hours: 11am-2pm & 5-9pm. Menu: Chinese & English. There’s a reason this is one of the most recommended restaurants in China: it’s the best darn Shanghainese in town. Avoid the “New” Jesses around town – they’re not nearly as good. And make sure to call ahead about the “secret” dishes (noted below with *) – although most of them are listed on the menu, they require pre-ordering several days in advance. Google map. 41 Tianping Rd, near Huaihai Rd (Middle). 天平路41号近淮海中路. Subway: Line 10/11 – Jiaotong University. Tel: +86 21 6282 9260. Hours: 11am- 2pm & 5pm-12am. Menu: Chinese & English. There are four FU restaurants in town, all run by Shanghai’s closest thing to a celebrity chef (Tony Lu) and housed in beautiful art deco villas in Jing’an. Fu 1088 is the cheapest of the lot, but the minimum spend pre-booze is still RMB 400 per person. It’s worth it just for the chance to eat in a private room of such a beautiful house alone, but luckily the food is amazing too. Google Map. 375 Zhenning Rd, near Yuyuan Rd. 镇宁路375号近愚园路. Subway: Line 2/11 – Jiangsu Rd. Tel: +86 21 5239 7878. Hours: 11am-2pm & 5:30-11pm.